Lou – Forget an espresso machine. We need a meat dehydrator. We’ll make our own jerky! Me – Or…here’s a better idea. We get BOTH. We’ve almost acquired all of the uni-tasker appliances. We can play uni-tasker appliance bingo! I should really try out my new bread maker that keeps giving me the eye. 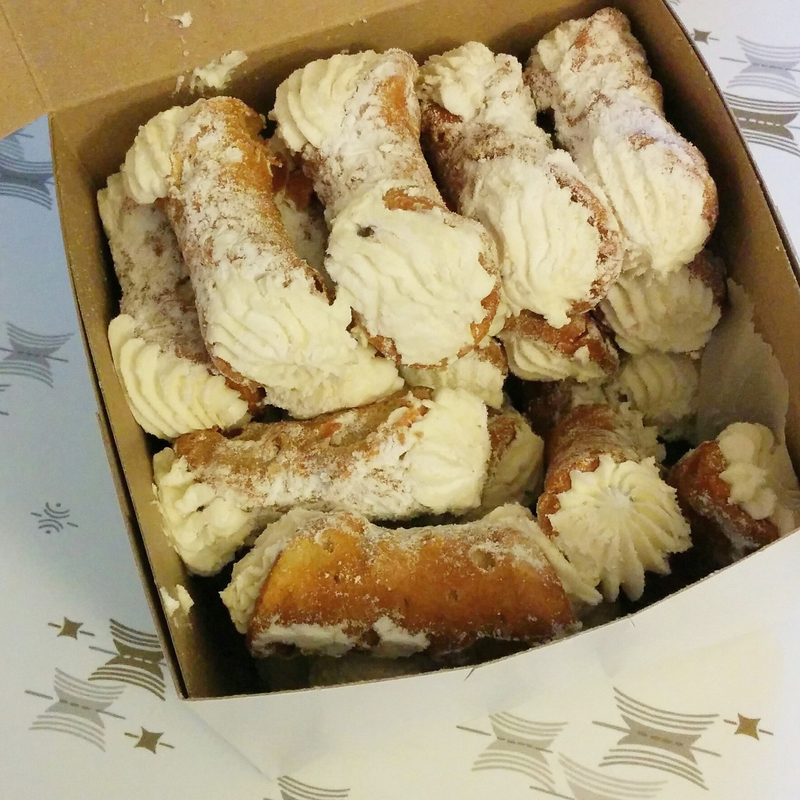 Me – How much are the mini cannolis? Me – I’ll take 24! 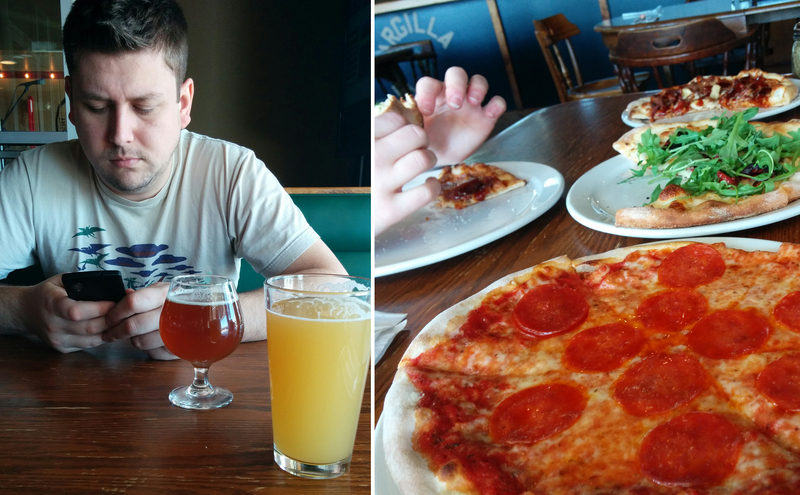 Argilla Brewing Co. in Newark, DE makes some awesome pizza. If you’re ever in the area, be sure to try it! 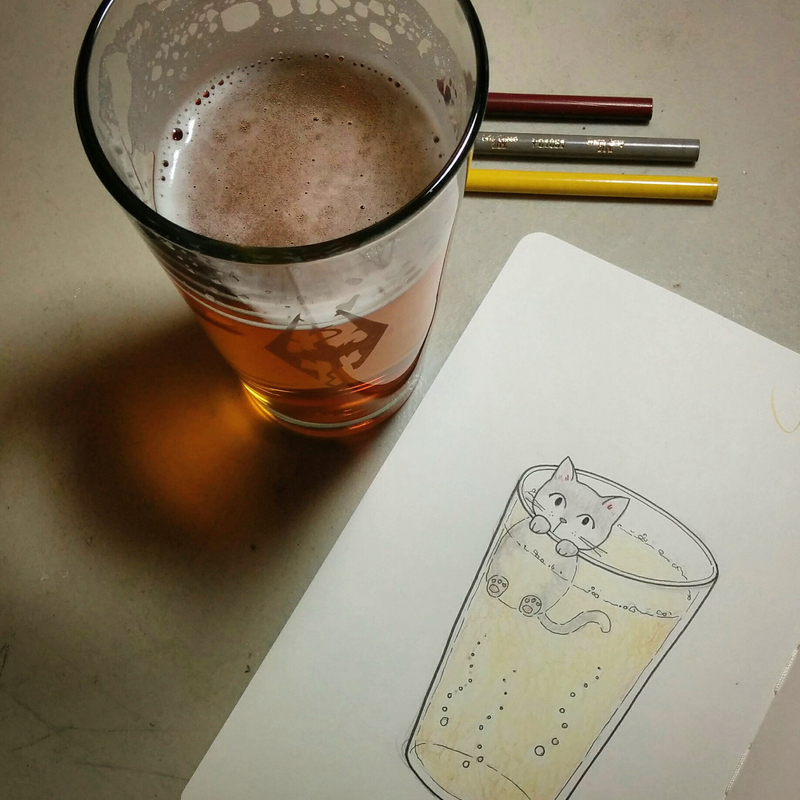 They make good brews too. Lou and I ordered three personal pizzas for the two of us because we’re piggies. Also, because we couldn’t decide which of their “fancy” pies to try. One had sun-dried tomatoes and arugula and another had chicken fingers, bacon, and chipotle bbq sauce! Something strange is going on at the Acme food store near me. 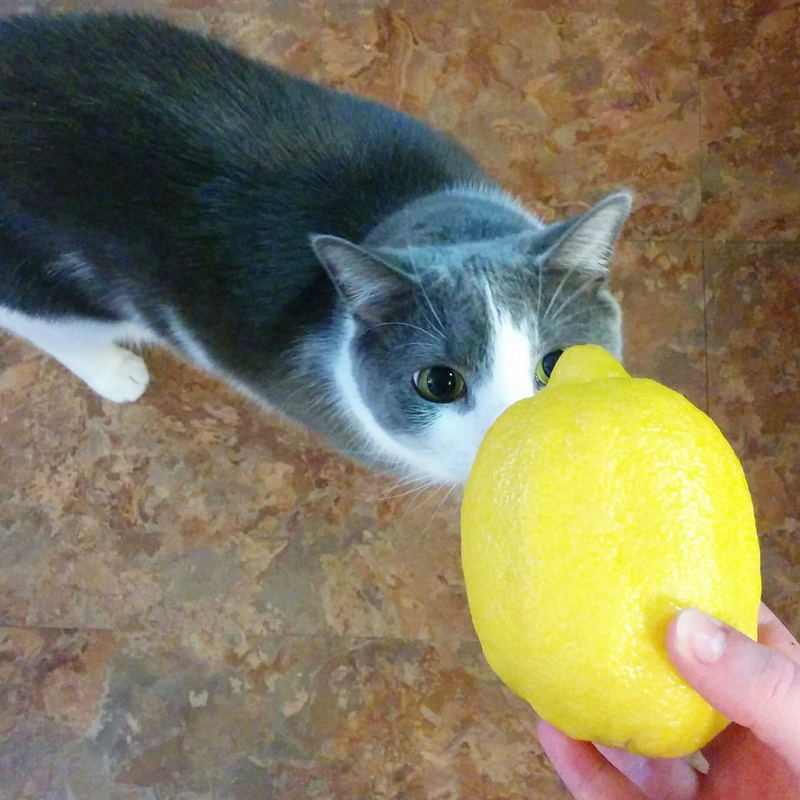 The lemons are the size of grapefruits! I had a fragile stamp made for my orders. I designed the whole thing with my little bean logo. I especially like the teeny “crack” in the bean like a typical fragile logo has on a glass. It reminds me of Harry Potter and his scar a lil bit. 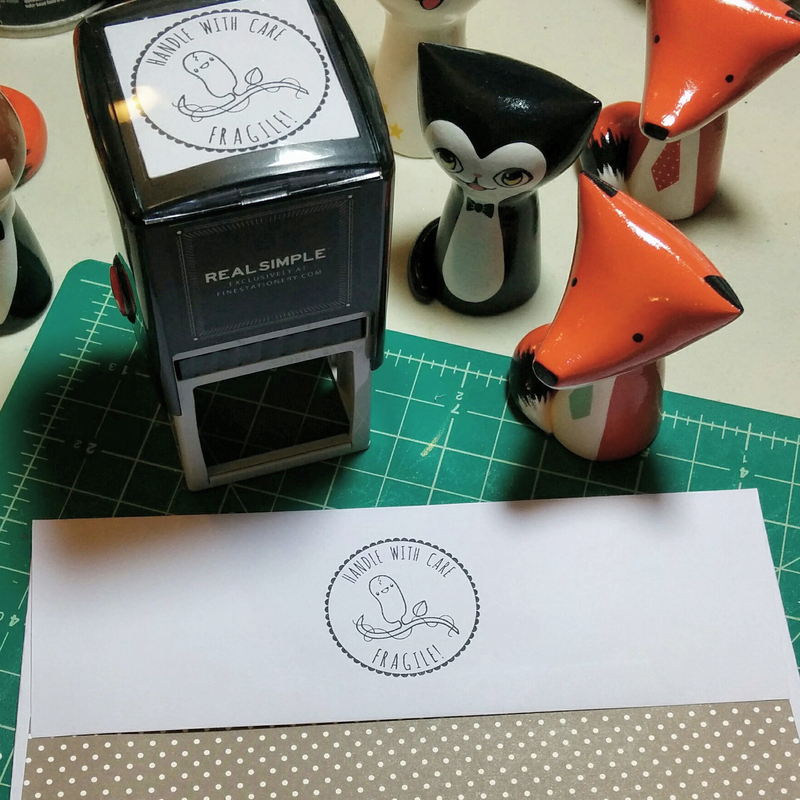 I’m also pretty sure that this fragile stamp is too cutesy to even be noticed by the post office handlers, but that’s alright….because CUTENESS. 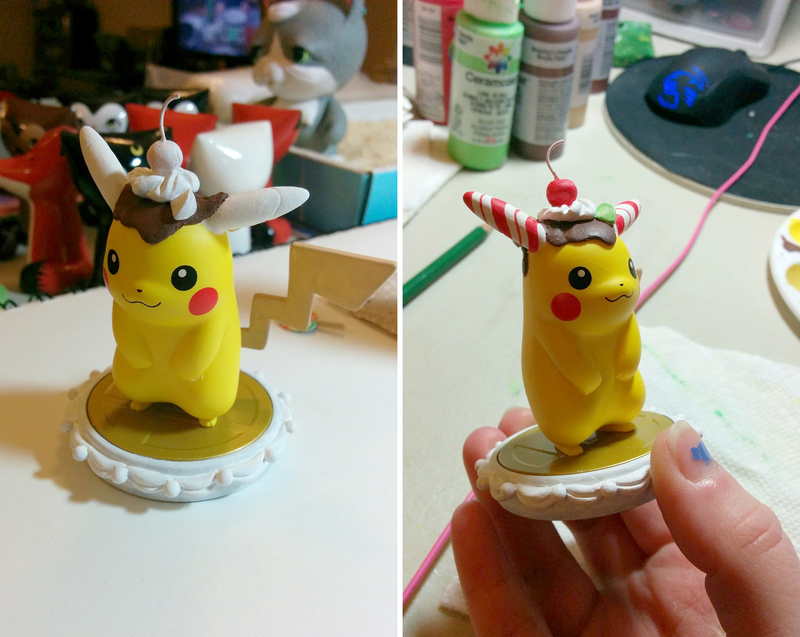 Another Amiibo I just finished up. I have ONE more to complete and then I’ll be listing them all on Lou’s eBay account. 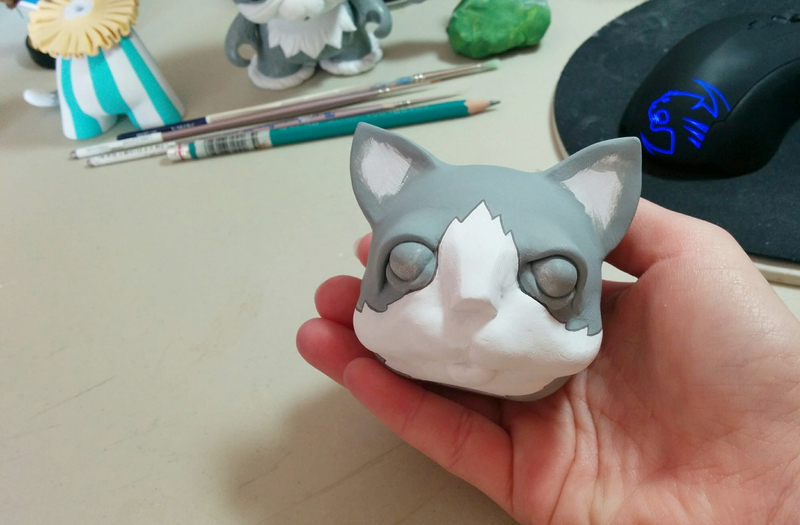 Depending on how they do, I’ll start taking commissions in my Etsy shop for future ones! 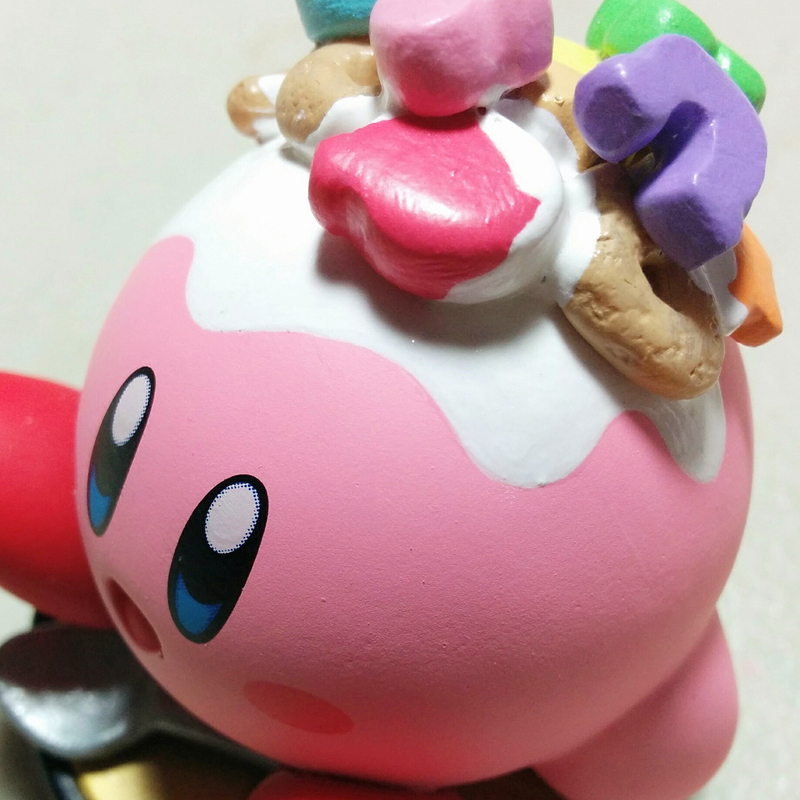 I’m super excited for this Kirby. But I was a little saddened when I was looking up reference photos for the Lucky Charms. I can’t believe how much they’ve messed with the marshmallow shapes! There’s a gold hourglass shape now? Hearts, stars, and horseshoes, clovers, and blue moons, pots of gold, and rainbows, and the red balloon! Those are the ONLY ones that should exist! The jingle says it all. I’m not even sure I agree with that green clover hat that replaced the plain clover. What is that nonsense. 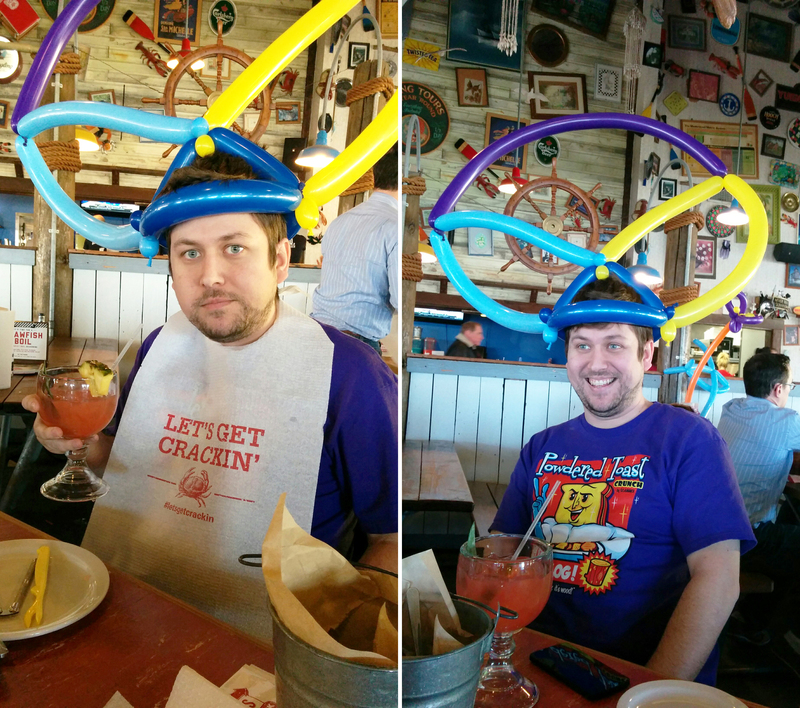 We went to Joe’s Crabshack not to long ago. There was a balloon artist there making things for kids. As the hostess is showing us to our seats, Lou blurts out to no one in particular as we passed the balloon guy “How do I get one of those?”. As usual, Lou and his big mouth, who is always saying what’s on his mind and getting stopped on the street because he talks to strangers even when we yell at him, had a new balloon artist best friend. He told us this was a “new design” he was working on, and even had to go in the back to make it so that he could “present” it to Lou. Every kid that saw him was in awe and SO JEALOUS. “Mommy, look! No no…mommy loooooook! !” It was amazing. Cue (or is it queue?) the Michael McDonald music! 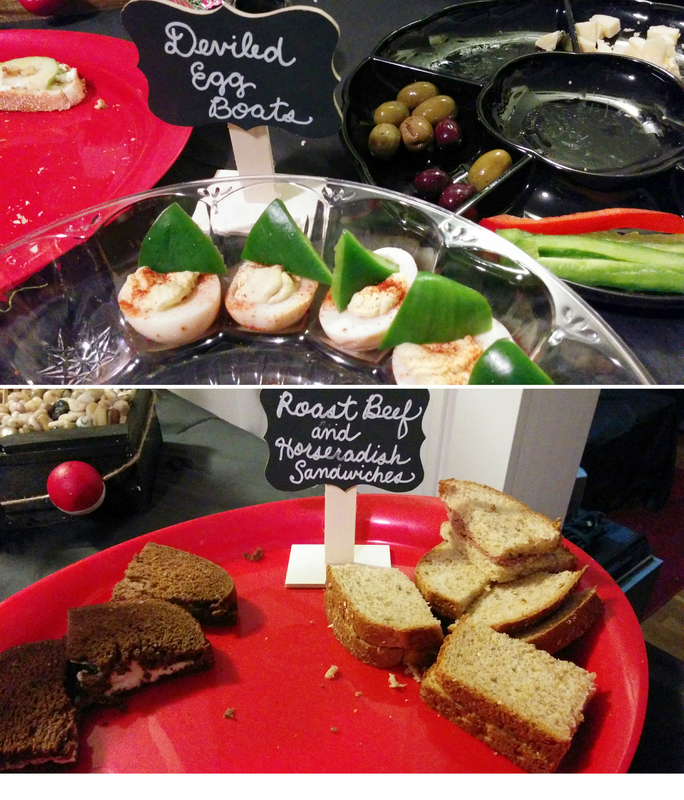 Lou turned 33 last week and we had a surprise roast party for him! 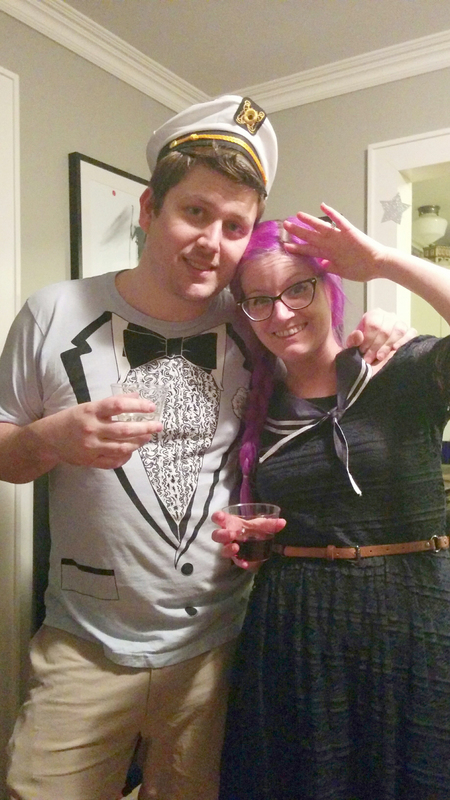 The theme was fancy yacht party. Whatever that means. 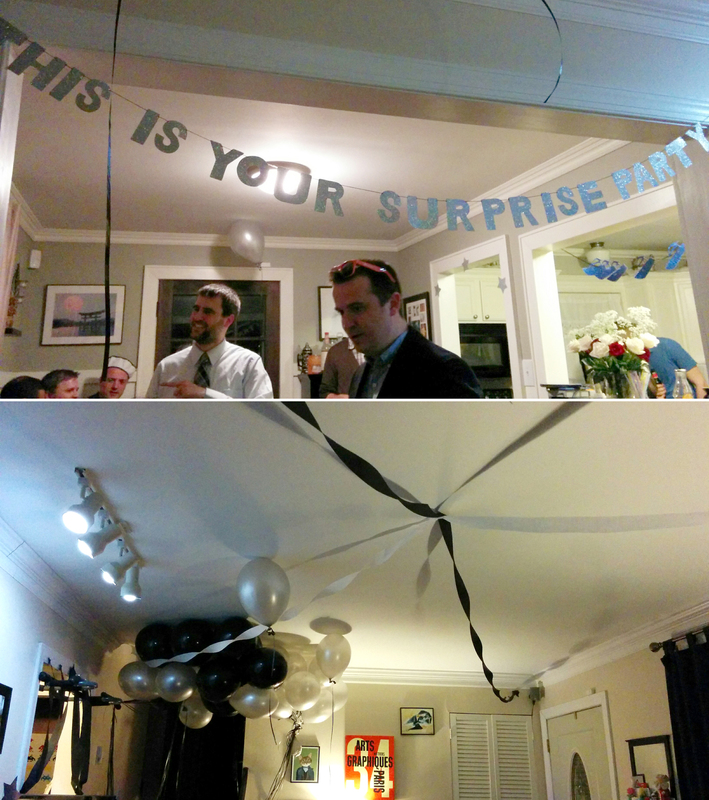 I’m pretty pleased with myself that I was able to keep a secret. It’s hard to be sneaky when you’re a homebody and suddenly I’d be “staying late at work” and “running errands” for hours. Check out this banner I cut out of glitter paper by hand! Some key moments during the roast and Lou’s impromptu thank you speech. We got him a cute lil Captain’s hat that paired nicely with his powder blue tuxedo t-shirt. My favorite part of the party planning was making the menu. I wanted some “fancy” foods. 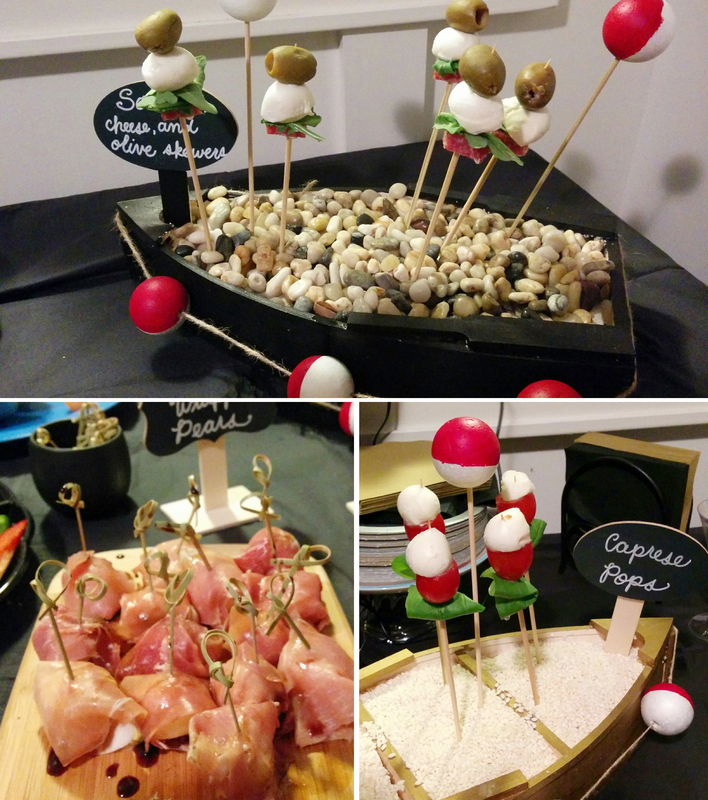 There were deviled egg boats, caprese pops, salami, cheese & olive skewers with arugula, honey, apple & goat cheese crostinis (my favorite! ), prosciutto wrapped pears with balsamic glaze and finger sandwiches – cucumber on pumpernickel and roast beef with horseradish sauce. We attempted to make a “boat” out of a pineapple. Watermelon was the original plan, but I guess they’re not in season yet since we couldn’t find any. Look how adorable all those balls of melon are! Making little balls of fruit with a melon baller was so fun. I have no idea why. 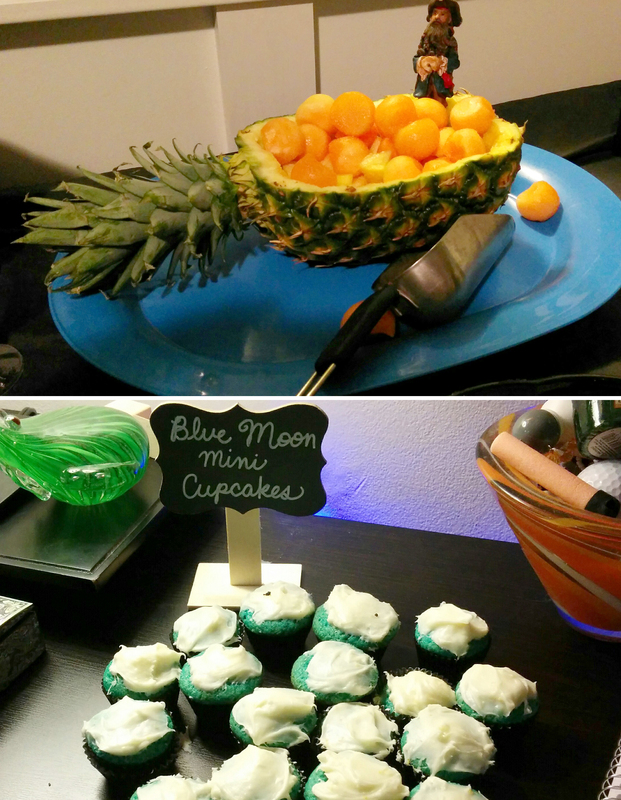 Yesenia also made Blue Moon beer infused mini cupcakes. I’m so sad that I forgot to take a picture of the delicious cherry cheesecake my mom made for the birthday cake. It looked so glamorous with the metallic gold “33” candle I made for it. 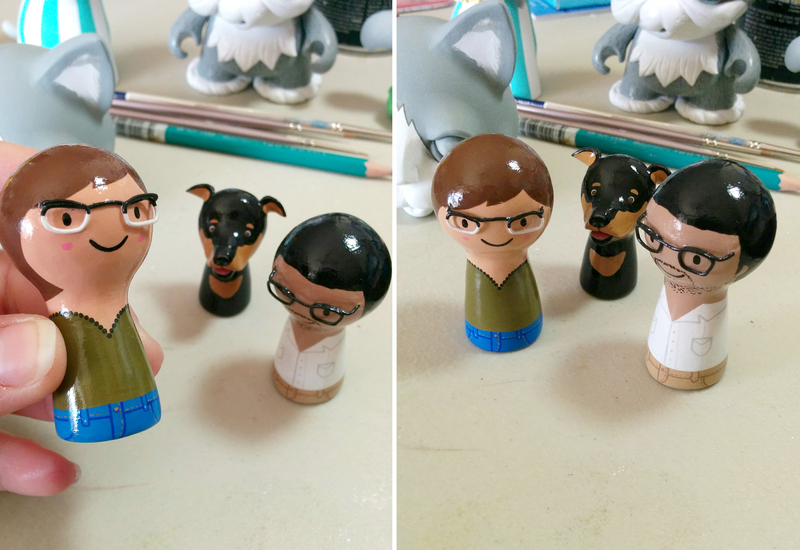 Lou convinced me to start customizing some Amiibo figurines. (I mentioned one in my previous post.) In case you don’t know what an Amiibo is, it’s basically an electronic figurine that you use in conjunction with some Nintendo games. They’re fun to collect (even if you don’t use them for the games) and there’s some really cute ones. This is Deku Link. 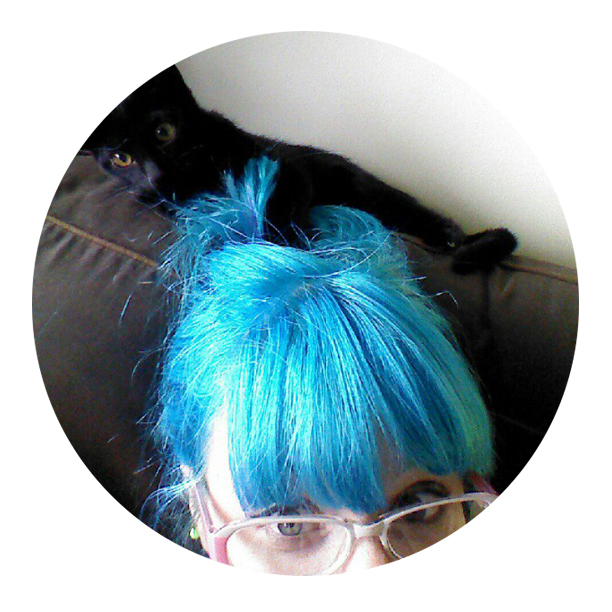 Lou suggested this one. It’s a character from Zelda: Majora’s Mask. 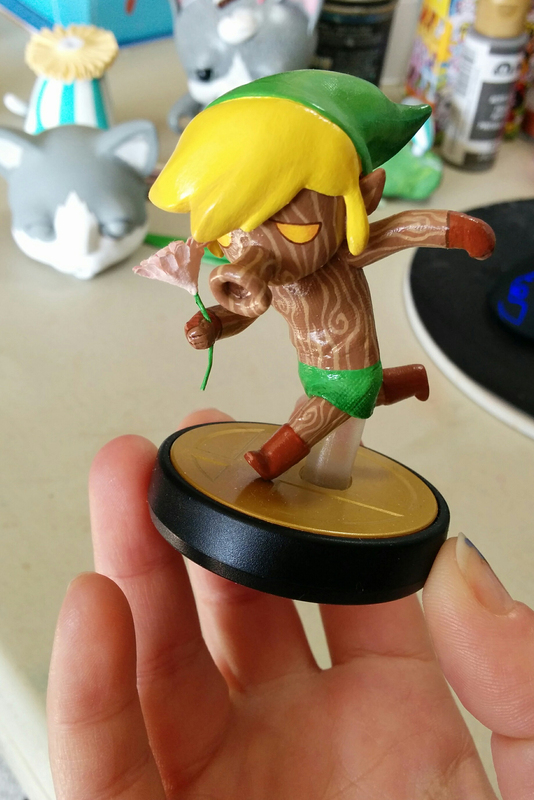 I customized this one from a regular Toon Link Amiibo. You can see a few more angles that Lou put in a little album here. Clearly you can tell what this guy is. Andddd again with the food. I know. I have a problem. Hopefully I’ll have time to make more soon! They’ve kind of relaxing. 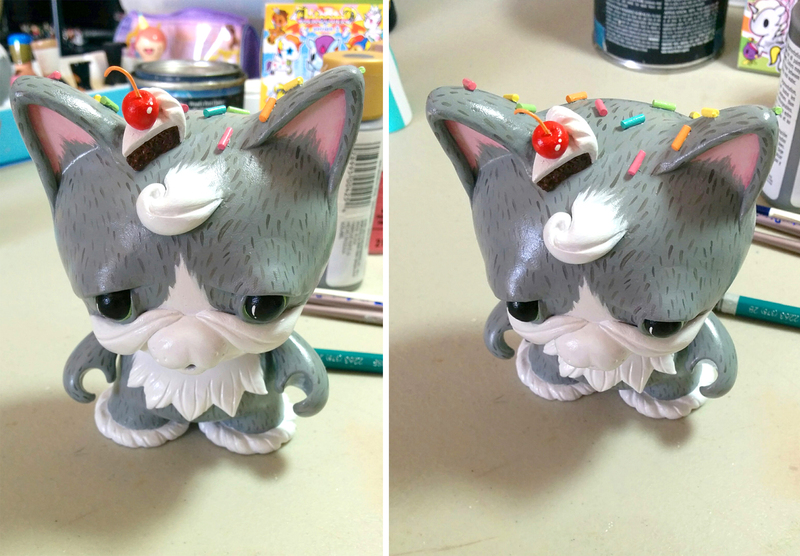 Here’s how my customized mini Munny figure came out! HOW adorable is that cotton candy?? The deadline to vote is passed. I’m kind of miffed about it though. I feel like the voting portion wasn’t well thought out. People were allowed to submit their designs to be immediately cast in the pool of voting pretty much as soon as they received their LootCrate with the Munny figurine included (for the contest). 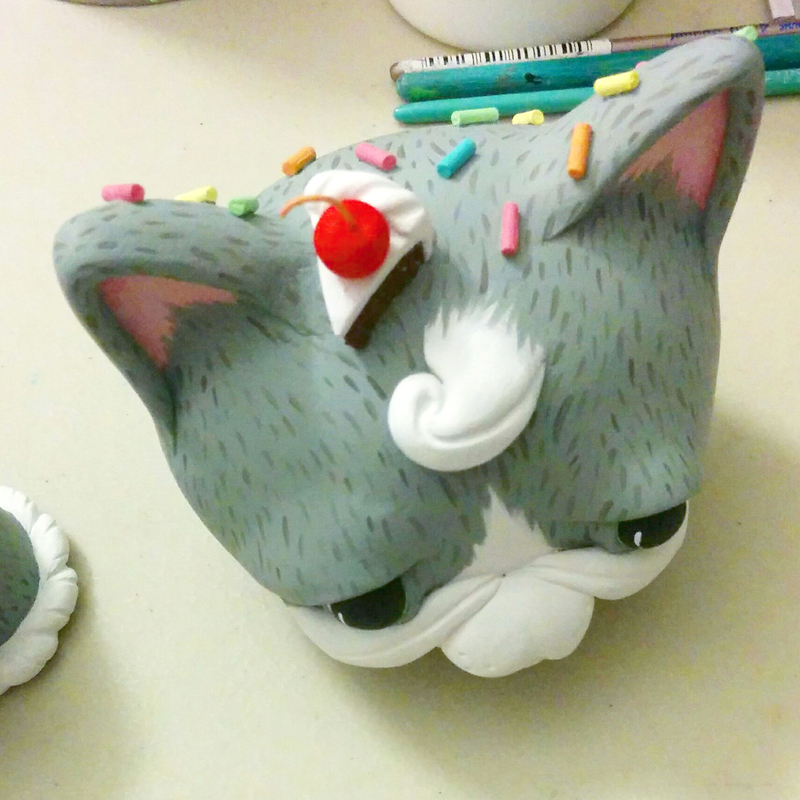 So essentially, if you already had a customized Munny that fit the theme, or were very fast at customizing one, you could get a good head start on everyone and gather a lot more votes just due to the extra exposure you got. I’m not trying to be a sore loser. I was just hoping the voting portion of the contest would be a little more fair to everyone. Why not accept entries until a certain point, and THEN open it to voting once everyone is accounted for? But I won’t dwell. 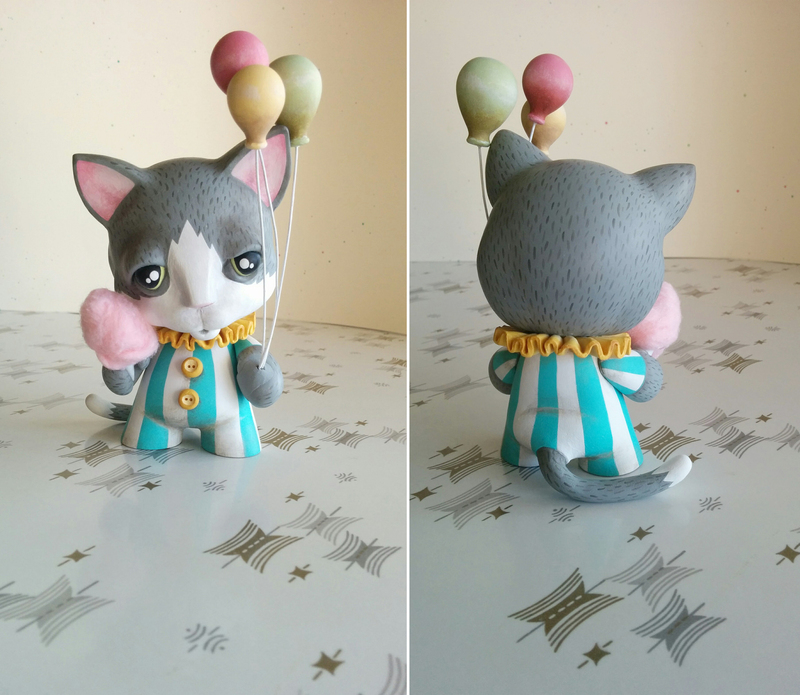 I’m really happy with how my little circus kitty came out and I might not have pushed myself to give it a try if it weren’t for this contest. Not to mention I still have a shot to win the “Judge’s Pick”, which isn’t based on most votes. So that would still be awesome. Fingers crossed! 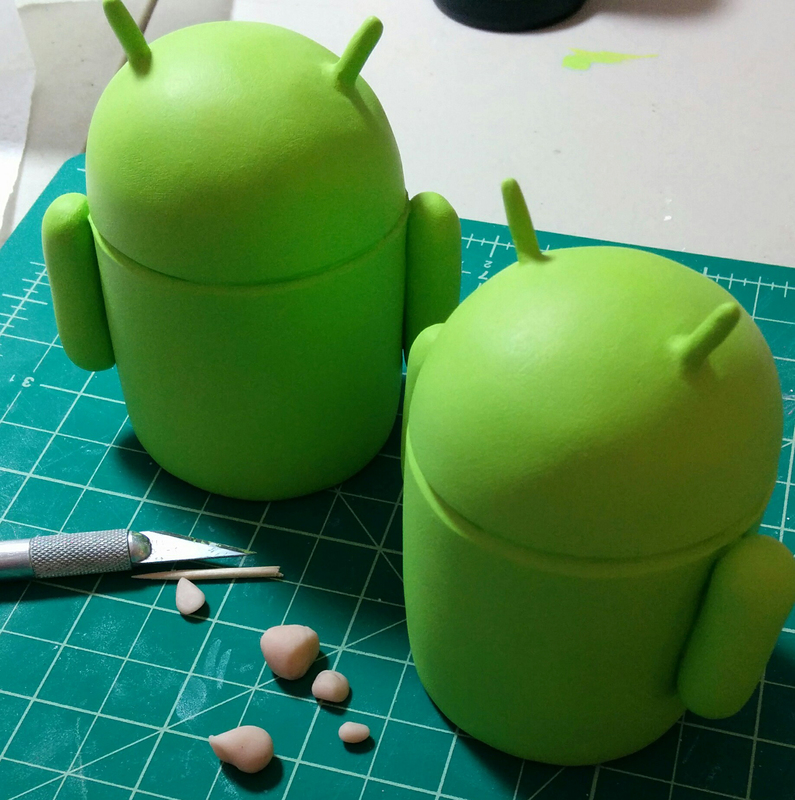 I’m also working on another custom wedding cake topper. 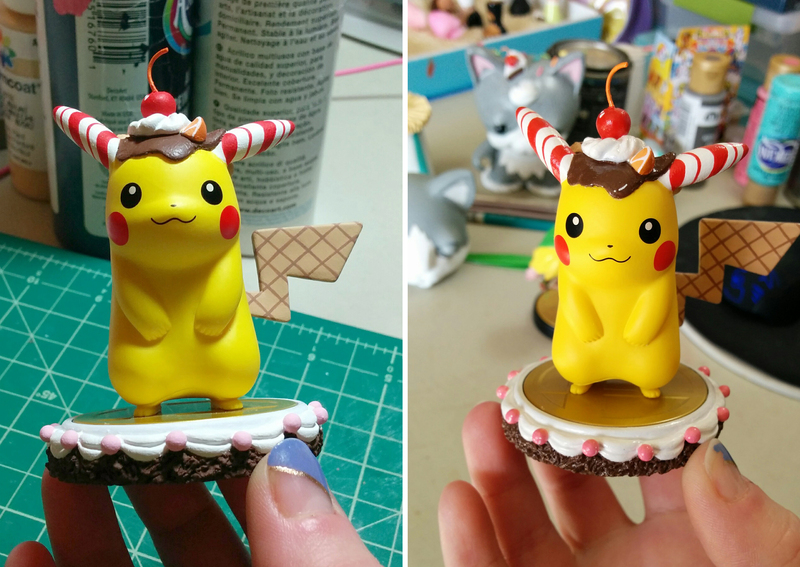 This will be my last cake topper commission for a little while. I have so many projects that I need to catch up on! But look how cute these guys are. They’re modeled after the Android robot mascot dude. 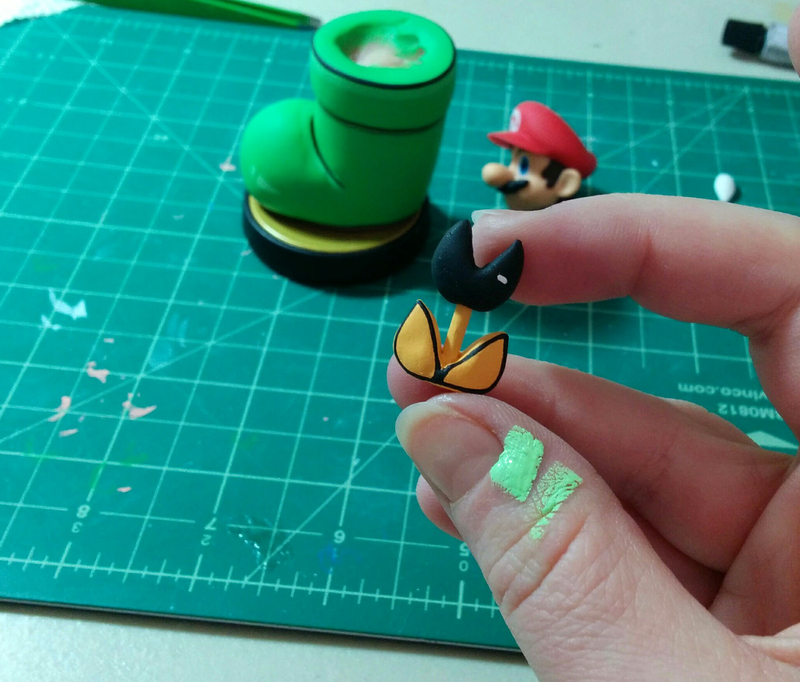 Here’s a little sneak peak of another custom Amiibo I’m working on. 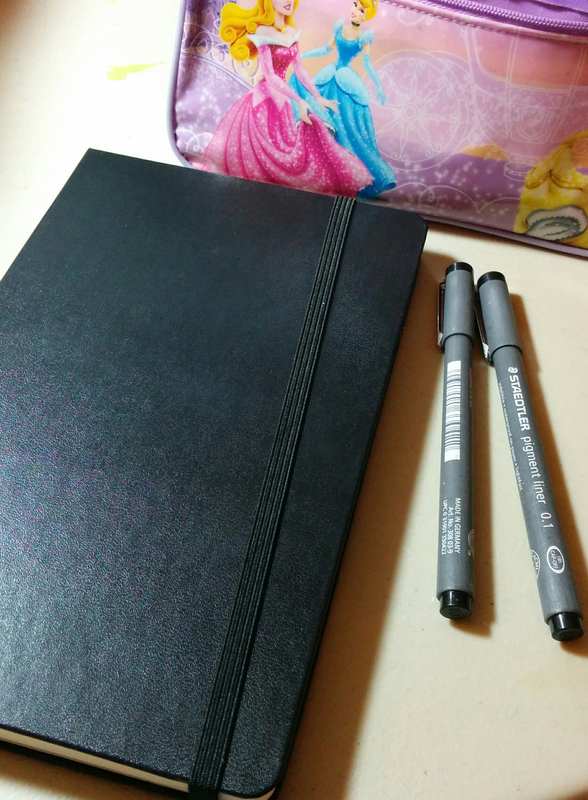 I also picked up a new sketchbook. It’s like a new pair of socks. Nice and cozy. 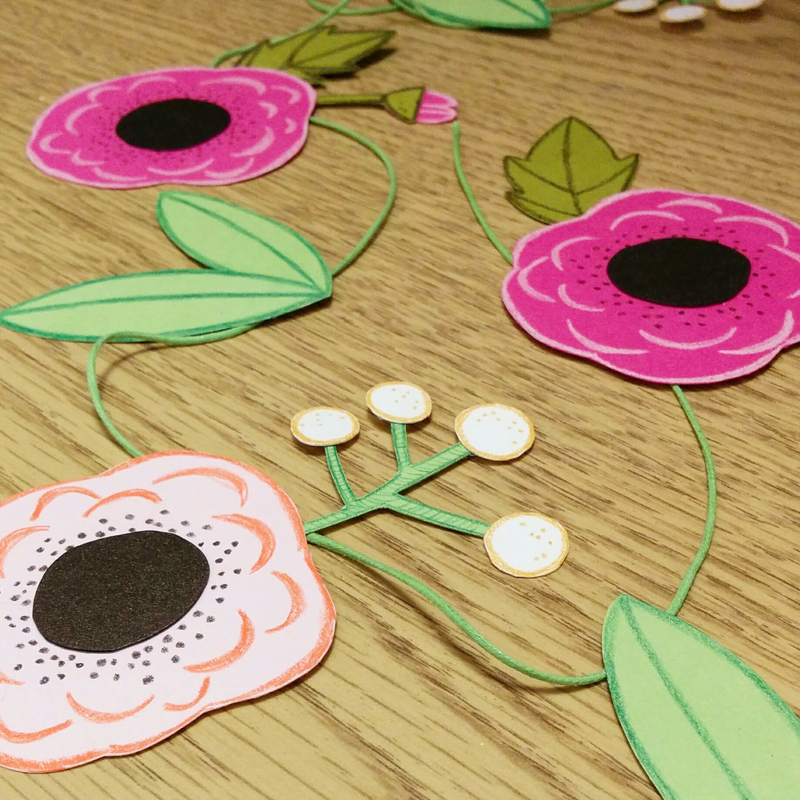 I can’t wait to do some more two-dimensional pieces! 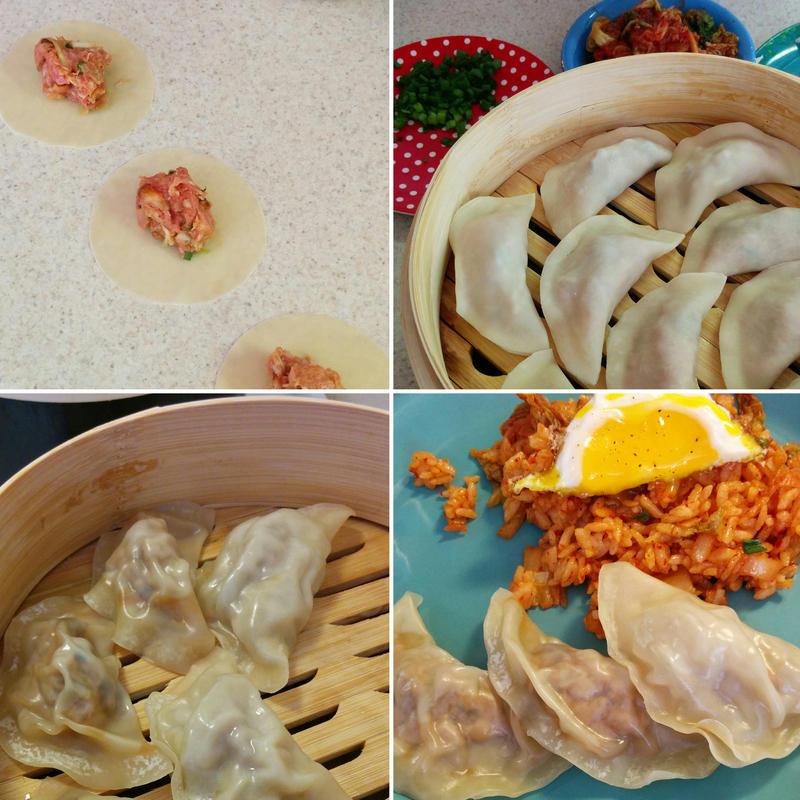 Last week I made some steamed pork dumplings. They were pretty awesome. But I forgot how time consuming it is to make them! Next time I’ll take the recipe writer’s advice and make a whole bunch to freeze too. Then I’ll have mountains of dumplings for later! I also made some kimchi fried rice with an egg on top. And finally…an Eevee pic. 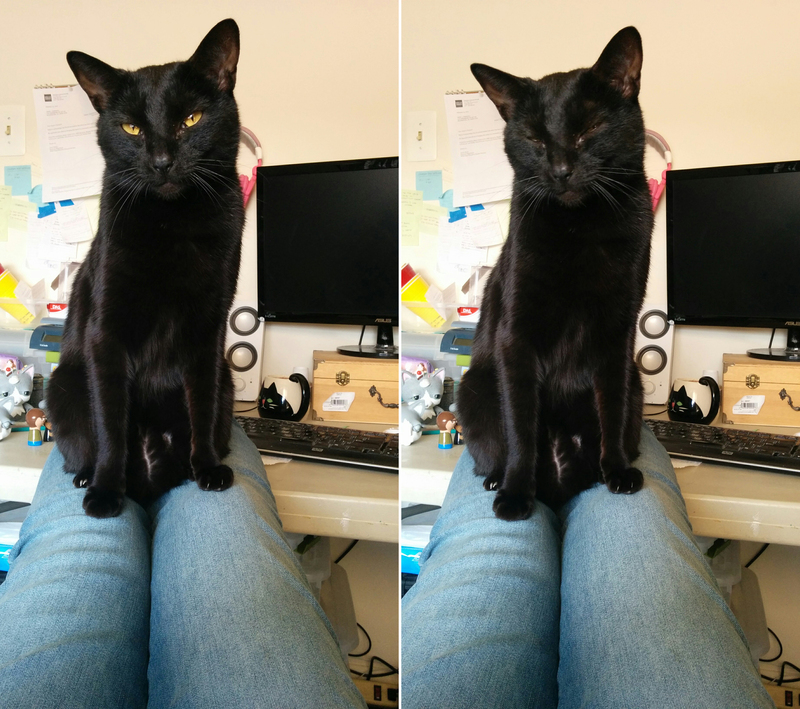 Just a typical “I’m trying to work” day being ruined by the “slow blink” cuteness. Lou bought me a pizza stone for my birthday last May. I’ve been trying to remember to use it more. I also slightly suspect that this gift was in part for him, since he gets to enjoy the pizzas I make. I smell a conspiracy! 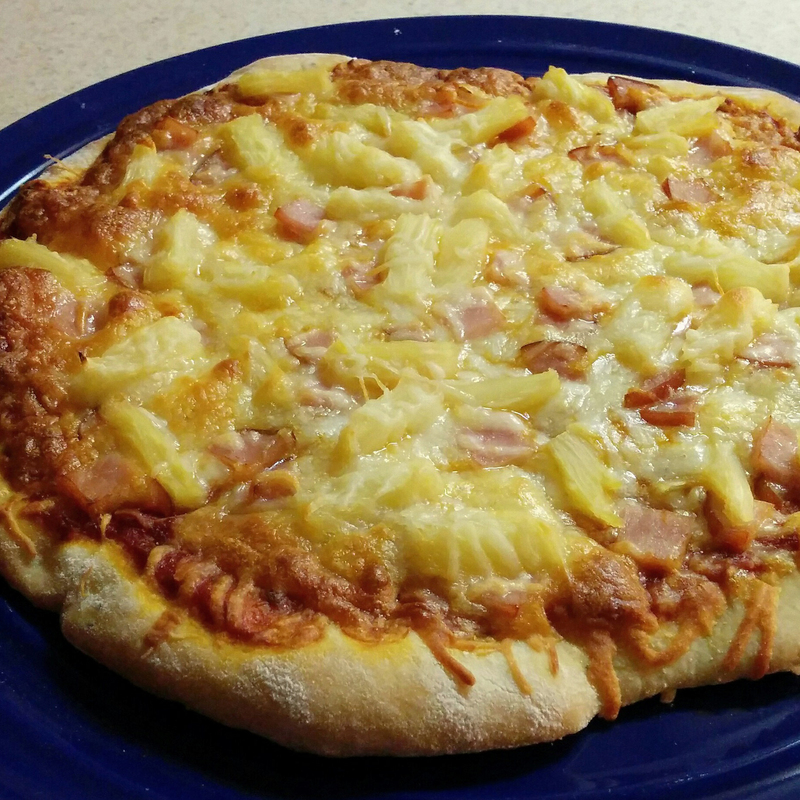 I made a pineapple and Canadian bacon pizza. I’m pretty pleased with it since this is probably the first one that came out mostly round. I don’t know how professional pizza people do it, especially for very large pies. It’s amazing. We also made a trip to an old hangout spot from college called the Landmark. I haven’t been there in YEARS. Despite the less than stellar Yelp reviews, I thought the food was pretty good and the staff was friendly. 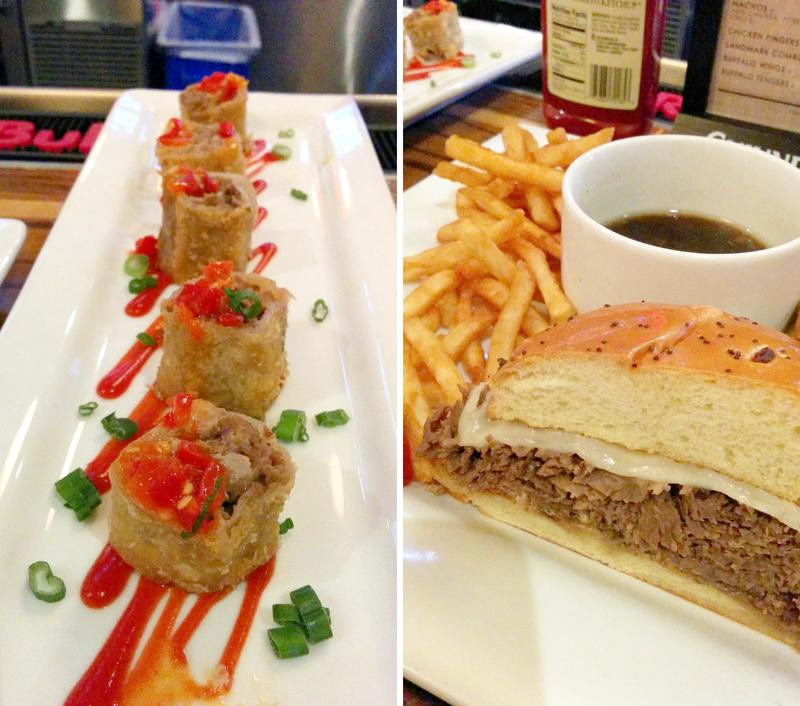 Lou got some kind of cheesesteak eggrolls (Isn’t that a cute presentation?) and I got a roast beef sandwich with au jus. I chalk up the bad reviews to being in a college town. College kids love to whine. 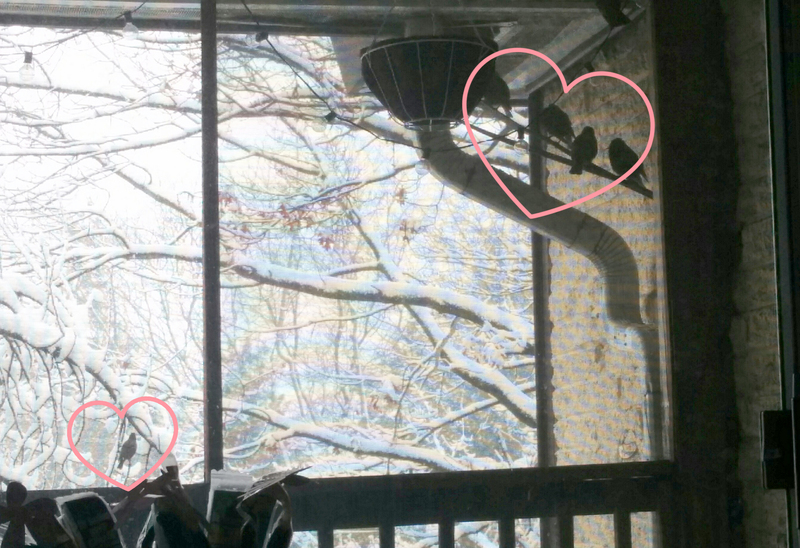 A family of birds took up residence in the ceiling of our balcony/drain gutter recently. I counted 7 in all, but you can see a few in this photo. They’re so cute. They look like mourning doves, but they have orange beaks. Why didn’t they fly south for the winter?? It’s so cold out! View from my office parking lot last time it snowed. 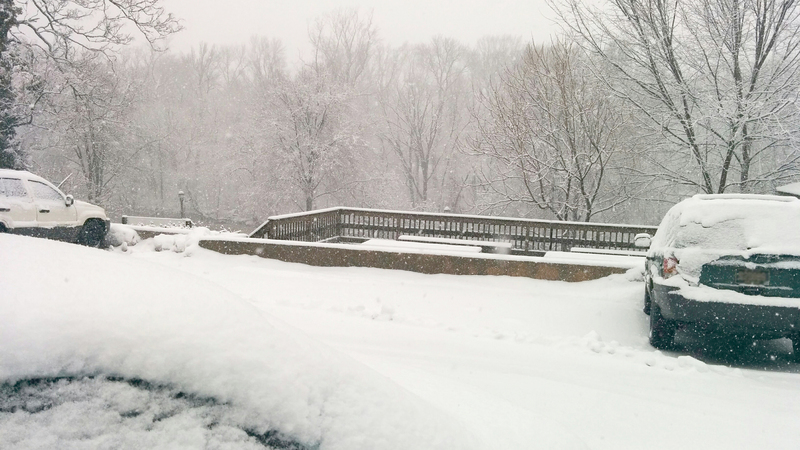 The Brandywine River is right over that railing. 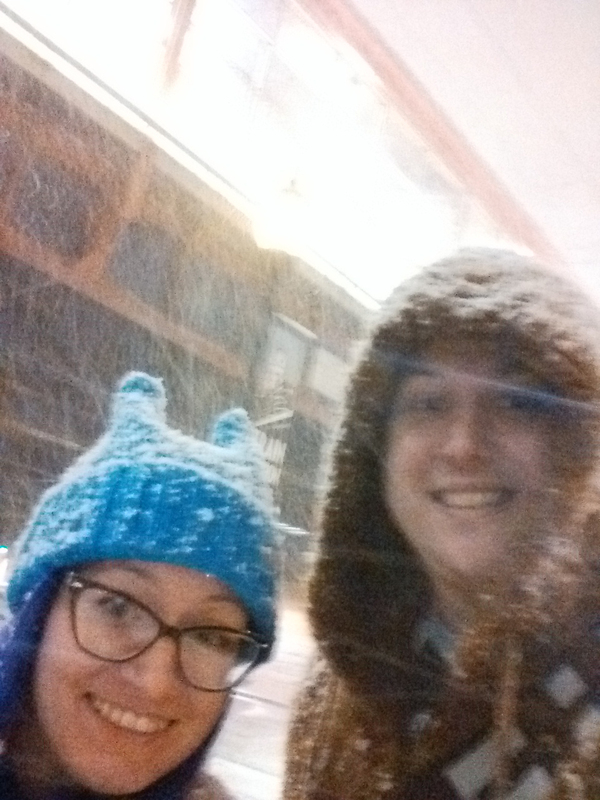 It’s really pretty in Wilmington when it snows, despite being labeled “Murder Town USA”. 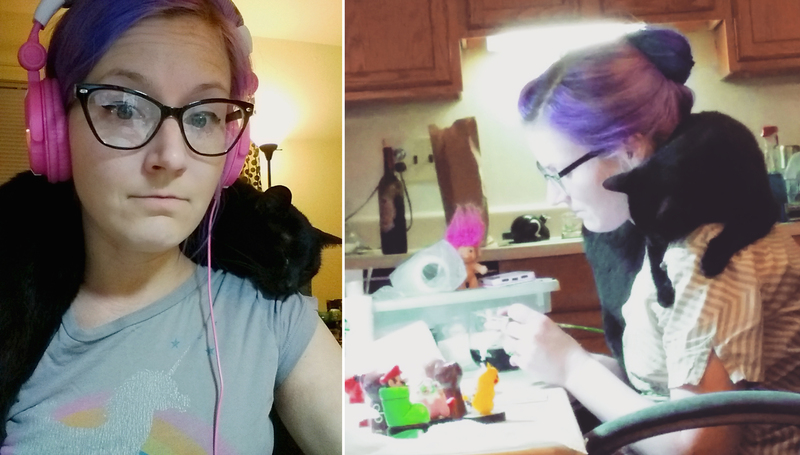 I have all kinds of projects going on at the same time. Here’s a few of what I’ve been working on. 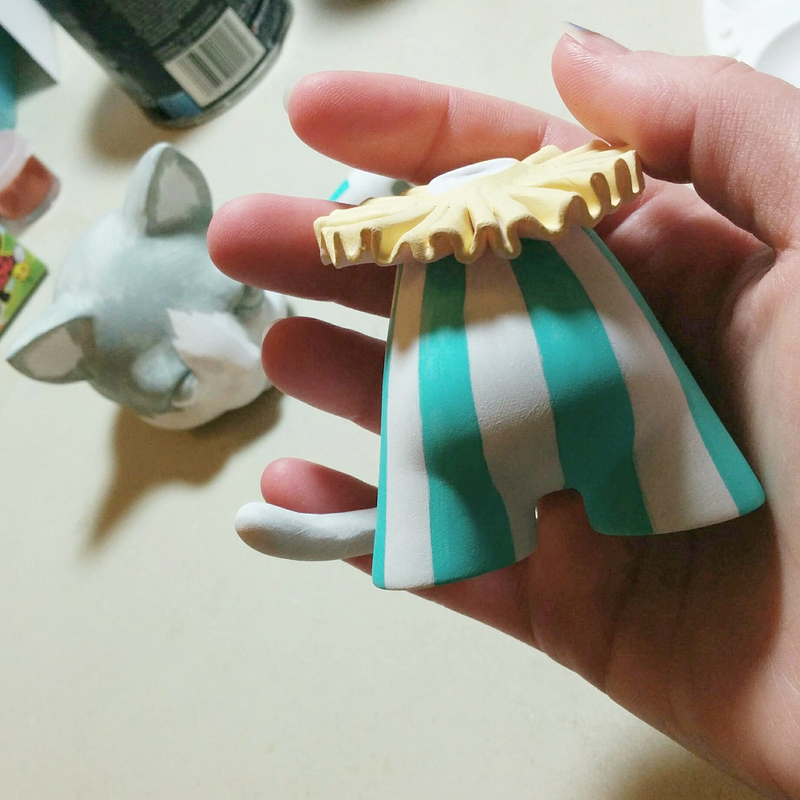 This was a Trikky vinyl figurine that I’ve literally had sitting on my desk for three years blank. I had performance anxiety or something. I just couldn’t decide what to make! I finally forced myself to make a move. Naturally, I went with two of my favorite subjects. Cats and food. I’m still pondering if I want to add a nose. I think he looks so cute without one. But also kind of strange. 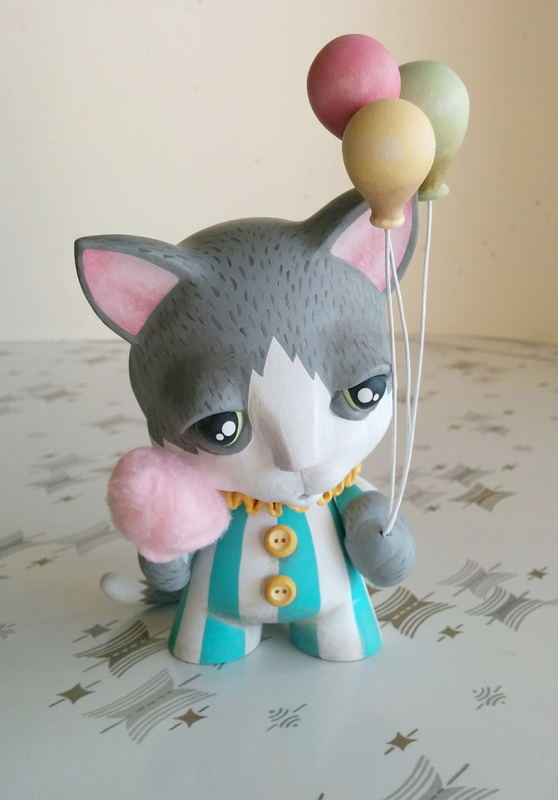 I tried to loosely base the figurine’s coloring on my cat Spike. 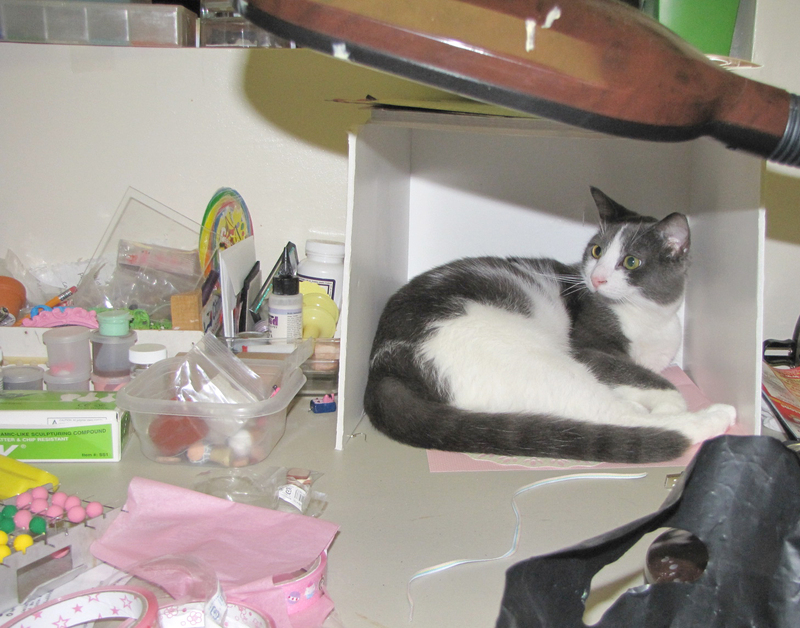 This is an older pic of when I caught him in my light box. NOW I know why there’s always cat hair all over my desk. 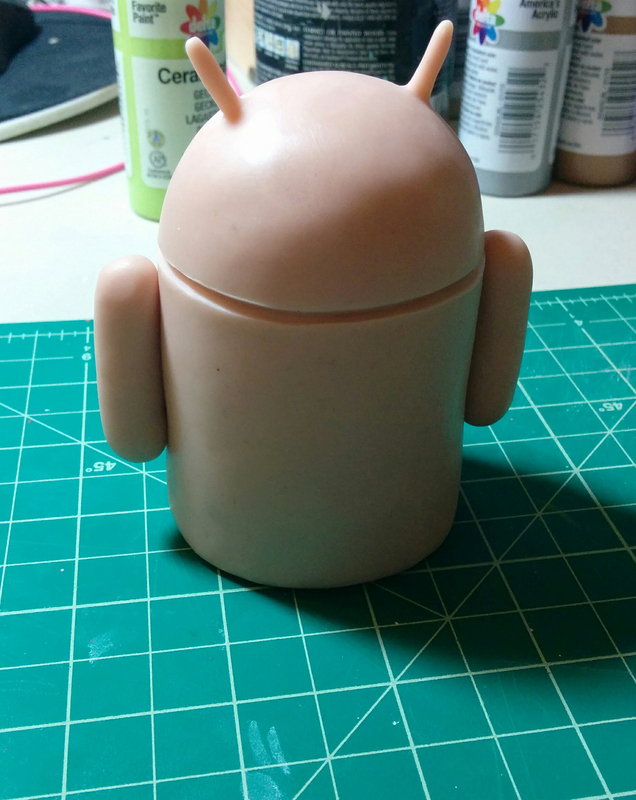 I also started another custom Munny figurine. LootCrate is running a design competition, so I thought I’d give it a try. There’s less than two weeks left before the deadline, so I’m scrambling. I couldn’t help making another Spike replica too. I know…I have a problem. Still working out how I want the face to look. I just finished a little custom family set as well. I have to take some proper pics and then I can mail them off to the recipient! I hope they like them! As if I don’t have enough going on, Lou convinced me to start customizing Amiibo figures too. I’ll save that for another post though! 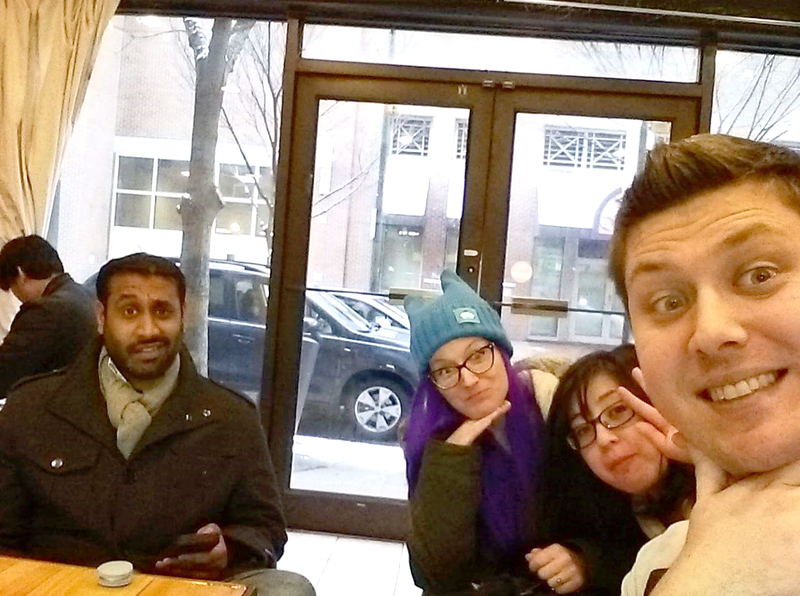 For Valentine’s Day, we decided to get together with some friends and frolic in Philly. 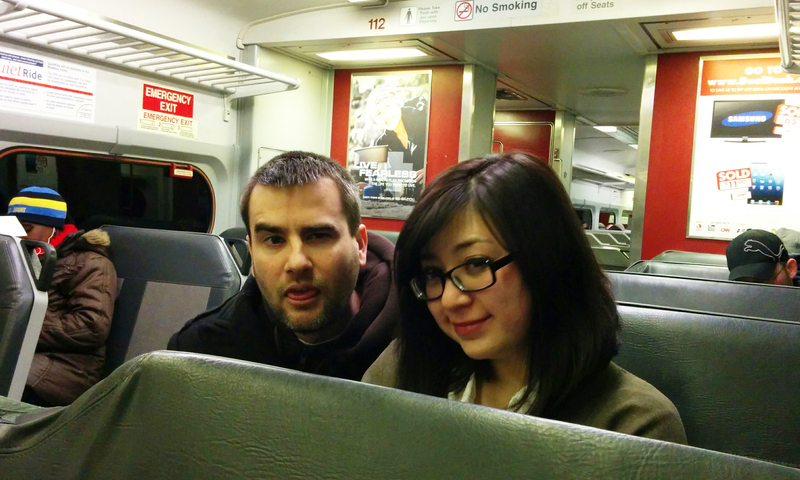 We took the train in, because it’s not an adventure unless you utilize public transportation. Little did we know that it was going to start snow storming. I guess it’s better than rain! 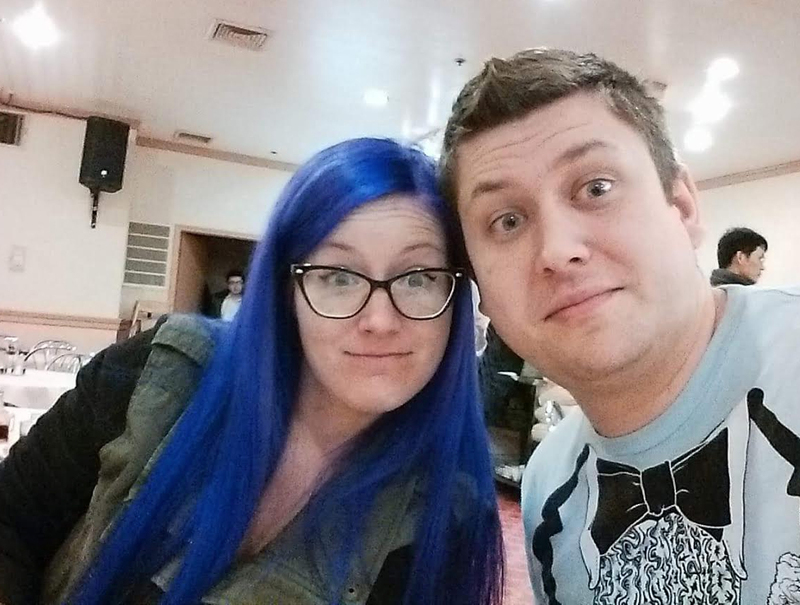 We went for dim sum at some delicious place in Chinatown that I can’t remember the name of. It was only my second time, but my first in Philly. It was amazing and I wish I had more pictures than just Lou and I grinning like fools before the meal. It was wave after wave of strange and tasty dishes. And the bill was SO CHEAP. I would go everyday if we lived closer. Then we all went for coffee and french macarons. I was beyond excited since I hadn’t had a macaron since we lived near that fancy coffee shop in North Carolina. They’re probably my second favorite dessert next to canolis. I planned on ordering 10 bajillion of them, but sadly they only had a few left of one flavor! I’m guessing this was a big dessert day since it was Valentine’s Day and all. My one treasured macaron was delicious though. Earl Grey tea macacon with some kind of chocolate filling. Of course no adventure is complete without a spicy pickleback shot. 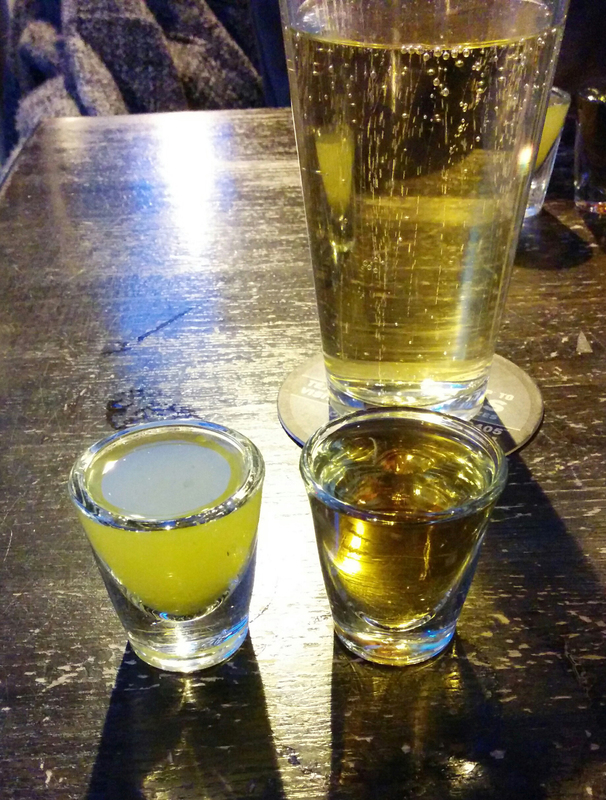 For those not in the know, picklebacks are a shot of Jameson with a pickle juice chaser. It’s freaking delicious if you like pickles and it cuts the harshness of the whiskey immediately. We first came across them in North Carolina a couple of years ago, but they’ve become kind of hipstery trendy now. I don’t care. I LOVE pickle juice. And here’s the “bouquet” I made for Lou for V-Day. 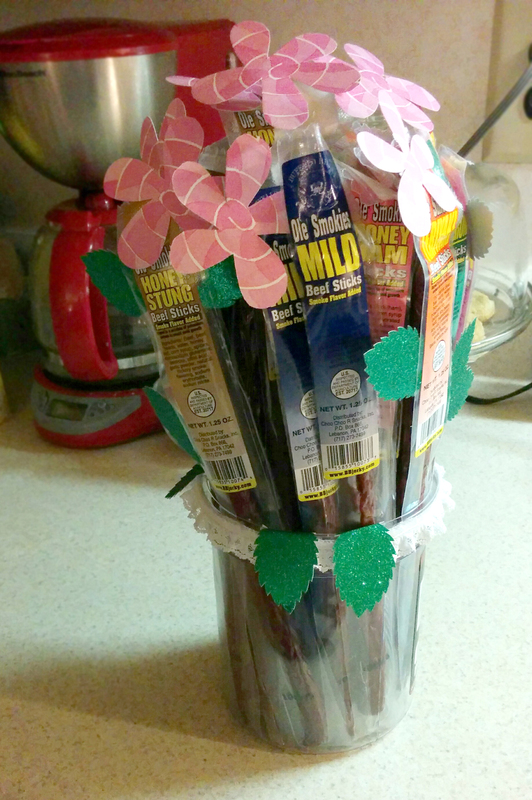 An assortment of beef jerky sticks that I glued some paper flower pieces to. Food is my favorite gift. You could give me food all day over a piece of jewelry. I hope Lou feels the same!